The alpine pastures on Monzoccolo, Merano 2000, Passo S. Vigilio, and the BikehighlineMeran(o), which connects the most beautiful tours (sign-posted!) 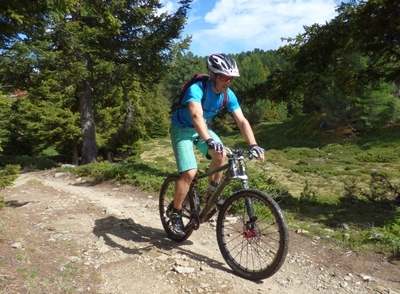 on Monte Tramontana in Naturno/Naturns between Rio Lagundo/Aschbach and Laces/Latsch, provide a highlight for a mountain-bike vacation in Merano & environs. The base camps however are Scena/Schenna, Avelengo/Hafling, Rablà/Rabland, Naturno/Naturns and Plaus. And if you want to book a guided tour or require some cycling technique lessons, the Ötzi Bikeacademy and the Bikeacademy Merano are perfect for you!